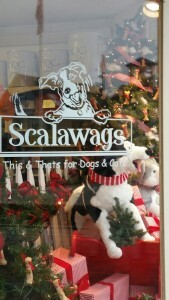 Scalawags is a pet boutique in Kennebunkport’s Dock Square that caters to your four legged friends with unique and unusual pet supplies. This is a must stop if you, or someone you know, needs a special gift for the pet in their lives. Centrally located in the center of Dock Square, this small store is the vision of Mary Beth Kvaka and has been a Kennebunkport favorite for many years. The first thing you’ll see is her beautifully decorated store window. She keeps the shop full with locally sourced specialty items. We love their all natural, organic dog treats. Flavors include Blueberry (it is Maine after all) and pumpkin. Or try the sweet potato flavored “Buddy Biscuits”, your dog will thank you. There’s a vast range of chew toys and stuffed animals. For your feline friends, there’s a selection of catnip and fun toys. And in keeping with the Maine theme, items range from stuffed lobsters and soft plastic buoys to rope toys for dogs. We take the rope toy to the beach with us. It’s great for walks on the water. The shop is always decked out for the season. Stuffed turkeys, snowmen, elves and reindeer are on the shelves now. They also stock a wide range of collars and leashes. There’s even something for pet owners. Choose from a selection of beautiful wood picture frames, hats, books, calendars and other sundries. Check out the zippered makeup bags; tartan and terrier lovers, these are for you. One of the things we love about this store is their commitment to supplying New England made products. Locally made pottery dog dishes with lobsters on them (remember the Maine thing?) and an Adirondack chair inspired feeding bowl set that holds two stainless steel dog bowls. Too cute! Toby, our Labrador, isn’t into clothing (it’s a street cred thing). If you have a pet that is, check out the doggie duds. 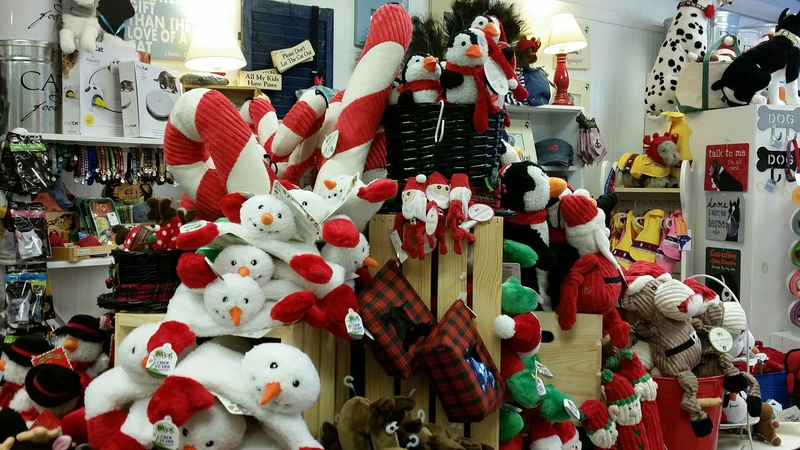 Their cubbies are stocked with winter gear including fleece, sweaters, coats, hats, scarves, socks, boots and even some very sparkly holiday dresses. We do buy Mushers for Toby’s paws from Mary Beth. It’s a protective gel that we rub on his paws to protect them from the cold and ice during the winter. The same thing they use on sled dogs. 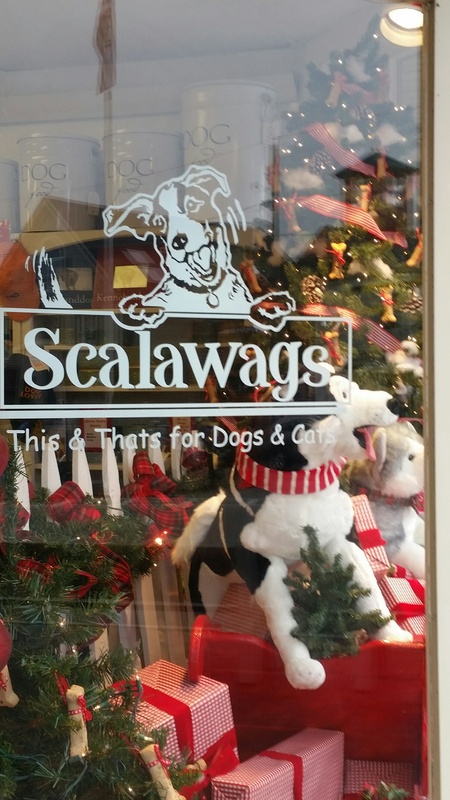 That sums up Scalawags – practical and playful, all in one shop. Scalawags is open year around (check their website for opening hours). Not going to be in Kennebunkport, their online shop is open for business and they ship everywhere. Animals are always welcome at Scalawags too. If you’re travelling with your pet, take them in to say hi, try out a treat and choose their own present. Tell them that 1802 House sent you!